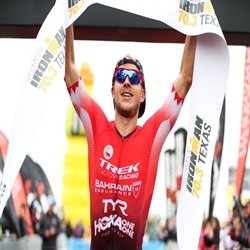 An avid school athlete who had taken up triathlon to strengthen her running, Ashleigh Gentle didn’t decide to pursue triathlon professionally until she took the junior world championship title in 2010. When her first appearance in an Olympic Games yielded a disappointing 26th place and the first time Australia had not medaled in triathlon, the Gold Coast native doubled down on her efforts by relocating to train with the Wollongong Wizards, also known as the incubator for world champion and Olympic gold medalist Gwen Jorgensen. 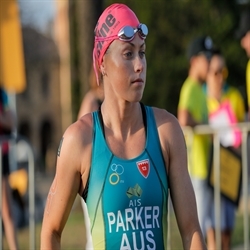 The move has paid off with Ashleigh becoming the first athlete selected to represent Australia at the Commonwealth Games in 2018, with the ultimate goal Tokyo 2020. 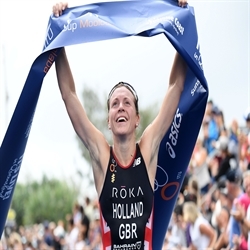 Ashleigh Gentle won her first ITU Mooloolaba World Cup gold yesterday, backing up after last week’s gold medal efforts for Australia in the mixed relay at WTS Abu Dhabi. 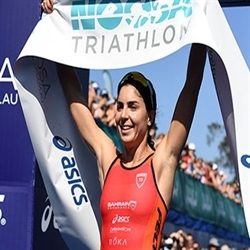 After taking silver in 2017 and bronze in 2015, she has finally captured the top prize after battling over the sprint distance in sizzling hot conditions on the Gold Coast. 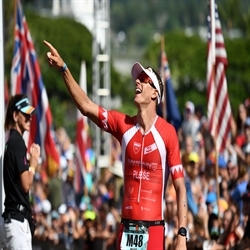 Ashleigh Gentle and Ben Kanute helped bring gold and silver to Australia and the USA respectively at WTS Abu Dhabi in the Mixed Team Relay event. 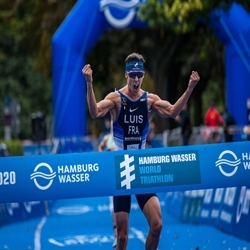 With team results counting toward qualifying for individual spots at the 2020 Olympic Games in Tokyo, the two are that much closer to making the Olympic dream a reality. 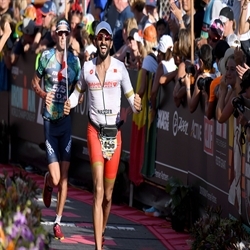 Bahrain Endurance 13 Team Olympic hopefuls head to Abu Dhabi for the start of the World Triathlon Series. 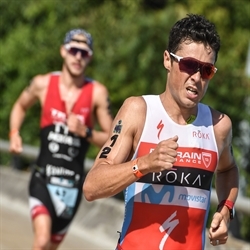 Vicky Holland, Vincent Luis, Ashleigh Gentle, and Ben Kanute are set to compete across the sprint distance in the elite individual event, and are major contenders for selection into their nations’ respective mixed relay teams in the event’s debut in Abu Dhabi. 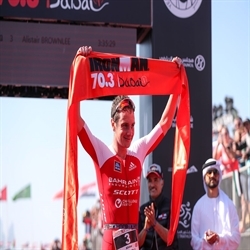 It was a winning weekend for Bahrain Endurance 13 as Vincent Luis took the men’s title at the Super League Triathlon Grand Final in Singapore, and Lauren Parker shone at the Oceania Paratriathlon Championships Newcastle, her first race in the campaign to qualify for the Olympics in 2020.